122 registered members (addyguy, 53' Stude, 1978elcamino, ad244, 55hambone, 2010Civic, 7 invisible), 2,185 guests, and 24 spiders. Hello fellow nutz! 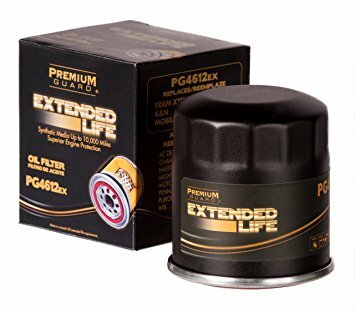 I am considering usung Premium Guard oil filters on my Silverado Classic 5.3L I�d sure appreciate some of your opinions on these filters. How do they compare to Fram Ultra Guard, Wix XL and Amsoil? They are not as good as Fram Ultra or Wix XP. Can't really compare unless you know the details and specs of that filter brand. They have a website? I can't figure out why you would use them when there are better alternatives. Last edited by Lubener; 03/17/18 04:52 AM. This^ but who makes them and what can they filter as far as microns go? Not much info on them it seems. They 'look' like the AZ STP XL filter. The former STP XL was made in S Korea by Daewha and were ISO rated 99%>20um. The newest/current STP XL which look the same on outside made in China and iirc the ISO efficiency rating no longer there. If it matters to you, website says 98% but no micron level, so doesn't mean much. 5000 mile changes and 96% efficiency. This filter will never touch one of my cars. All marketing aside,the best oil filter is the air filter. Pretty vague efficiency ratings, the web site says 98% but no micron size. Not in the same league as Amsoil or Fram Ultra. Why use an off brand oil filter when you can use a, oh wait, I can't mention names for another nine months and fourteen days but others may have a recommendation. I just went through filter selection decisions. After examining many and comparing prices vs. quality, specs etc. Fram Ultra won out. I have never seen a Premium Guard though. Don't know where to get them.